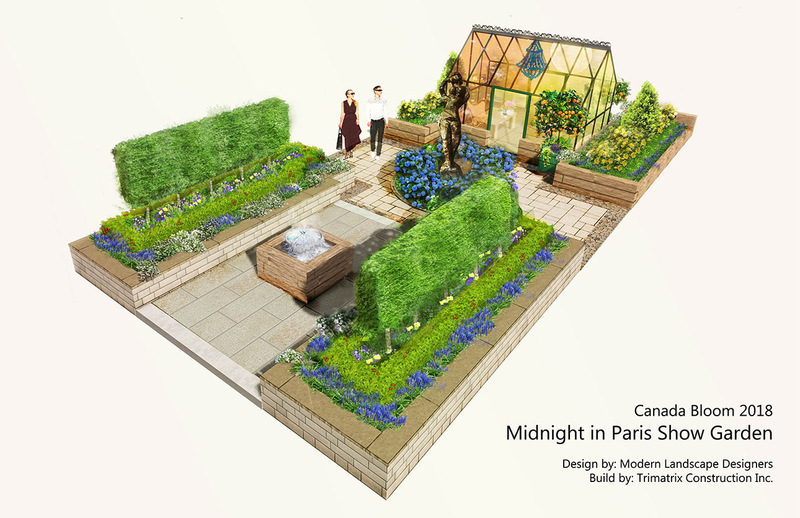 Midnight in Paris Awarded Outstanding Medium Garden at Canada Blooms 2018! We are excited to announce the awarding of Outstanding Medium Garden to our collaborative entry at Canada Blooms 2018. Conscape Lighting + Audio is proud to have worked alongside with Julie Moore, Lead Design of Modern Landscape Designers and TriMatrix Construction, to design and construct this jewel of a garden; we are all both excited and honoured to be recognized at the popular Toronto show. You still have a chance to see Midnight in Paris at Canada Blooms! Conscape Lighting + Audio would like to welcome you to attend the marvellous garden festival hosted by the National Home Show from now until March 18th, 2018. The theme, “Let’s Go to the Movies” allows you to re-visit some of your favourite films in the form of landscape artistry. Each garden at the show presents exceptional works of art based on famous movies over the years. 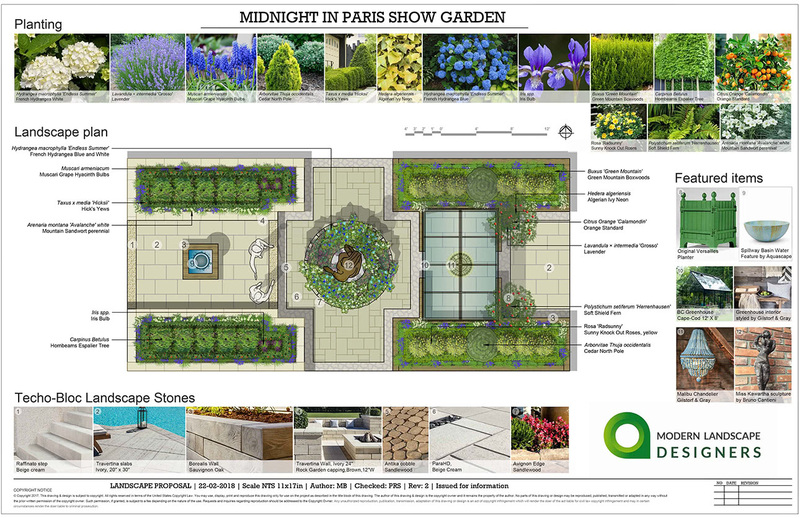 Conscape’s garden collaboration, Midnight in Paris, is inspired by the 2011 Woody Allen film where the hero Gil Pender (Owen Wilson) explores the streets of Paris and for one night is accompanied by famous cultural icons of the Jazz Age who have shaped art and literature into what it is today. While on his journey, Pender walks past beautifully lit up landscapes and cobble stone streets that captures the essence of Paris’ atmosphere. The movie focuses on creating an emotional attachment that connects its viewer to the setting, and this is exactly what the team intended to portray with their garden display. Incorporating contemporary designs with charming 1920s undertones, Midnight in Paris immerses you into a garden oasis. The excitement does not end with the garden aesthetics! On March 14th, Albert Conte will be representing TriMatrix Construction and give a Garden Talk on custom construction. On March 18th Albert will also give another talk about Conscape Audio + Lighting services to provide insight into all the different ways you can use these products within your own home. The Canada Blooms show is the perfect way to meet experts from Conscape Lighting + Audio as well as TriMatrix Construction. For more information on outdoor lighting and audio systems, make sure to visit our website and contact Conscape for a free consultation.